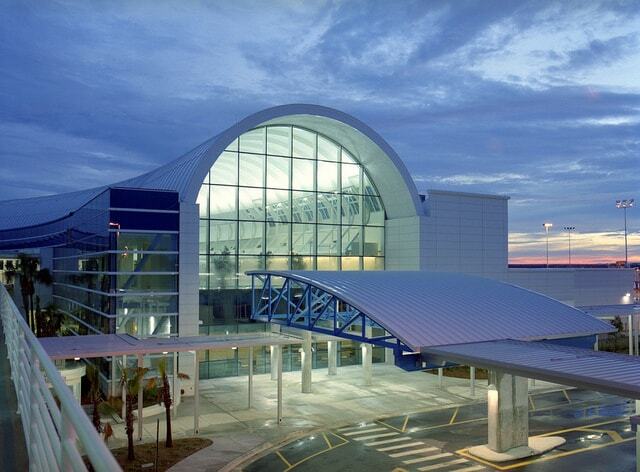 Book2park.com offers secure and affordable airport parking out of JAX - Jacksonville International Airport. We select our partners very carefully in order to provide you with a high quality airport parking experience. Reserve your parking now at any of our partner hotels or parking lots and save money getting the peace of mind you deserve! Our rates include complimentary shuttle service to and from JAX - Jacksonville International Airport. Book with us and get the best deal you can get on airport parking! Driving distance from JAX : .5 mi. Fully Asphalted Lot with HIGH SECURITY cameras, Advanced LED LIGHTING system (Lot is completely lit up and secure at night) and FULLY fenced and guarded and attended lot with Clean Bathrooms and a warm and welcoming lobby area with work station areas. SELF PARKING Customers shall go to the main office and present their confirmation receipt . Park. The shuttle shall pick up the customers and their luggage AT their vehicle. Please note your car-spot number for your return journey so you can inform the shuttle driver where your vehicle is parked.